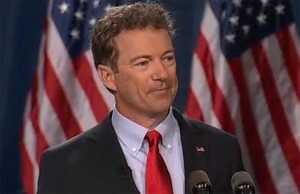 Republican presidential candidate U.S. Sen. Rand Paul will visit 11 college campuses across Iowa has he launches his ‘Iowa 10,000’ College Tour next week. With more than 300 Students for Rand chapters across the state, his campaign has set a goal to get 10,000 Iowa students committed to caucusing for Paul at the Iowa Republican Caucus in February. Only Iowa residents who register to vote as Republicans and would be age-eligible to vote in the 2016 General Election may participate in the caucus.